As a fish export trader, Tuako* plays the role of middleman between fishermen and factories. 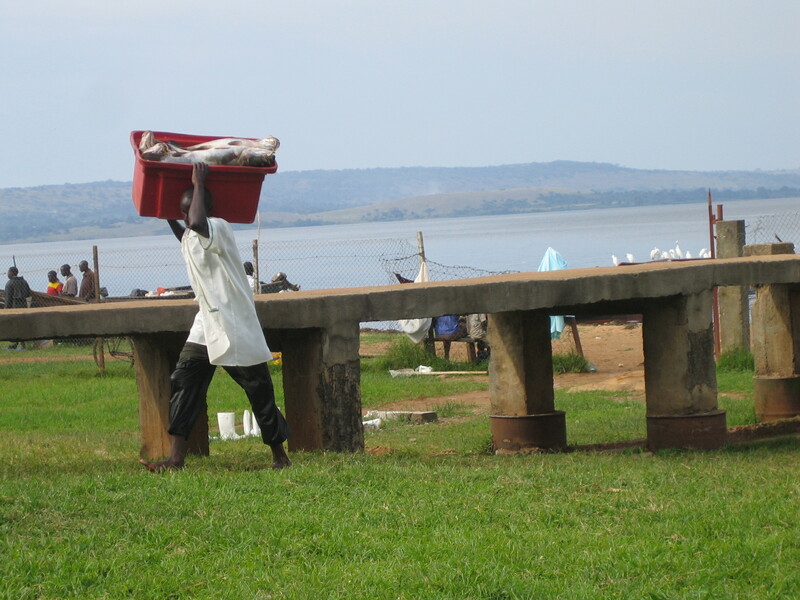 He works at a fish landing site in Uganda, where he buys fish from the fishermen, places them in a truck with ice to hold them fresh and sells them to factories. His business is strongly influenced by the nature of trust and credit dependency relationships to the fishermen and factories he mediates between. Tuako is bound to working at particular landing sites because of the trust relationships with fishermen he’s established there. He explains: “You can’t just go [to a landing site] and park your truck and expect to just get fish even if you have ice. You must have someone you know or who knows you there.” Aside from the monetary exchange that takes place between trader and fisherman, Tuako invests in the fishermen’s work activities. For example, he might provide the fisherman with an engine, repair his boat or buy fishing nets for him. He may also provide ice to fishermen while they are out on the lake to prevent spoiling. The mobile phone is indispensible for responding to the time-sensitive needs of trading this highly perishable commodity. According to Tuako, Asian-owned factories have sometimes tried to bypass the trader and directly contact the fishermen. In the long term, he suggests, they aren’t successful because “…many [fishermen] have disappeared with their boat or fishing net and run to other landing sites as far as Kenya border. They will sell in Entebbe which makes them impossible to locate.” In contrast, Tuako, as a longstanding member of the community around Lake Victoria, with a vast social network at the landing sites and the islands, is able to do remote surveillance on the fishermen who might be tempted to sell the fish they catch to someone else rather than pay off their debt to him. He notes that “when you come to me, I first find out who you are, your family and about your work so even if he [the fisherman] got lost, I would locate him. But the Asians do not know these people. They just find you [the fisherman] and you tell them ‘I will work.’ They don’t even know about your past working experiences, so they give them their 5 millions and the fisherman decides to use it for house construction. Even if a boat is labeled, they [the fishermen] will steal it. I think that’s the reason companies decided to start buying from traders.” The mobile phone is a tool for ensuring debt repayment, but its usefulness in this respect has to do with Tuako’s long list of contacts he might use to locate a fishermen who has “gotten lost.” Tuako’s comments also highlight tensions among the different ethnic groups involved in the industry that come to a head at points where these groups interact and when one group tries to enter the ‘turf’ of another. In order to become more independent from factories and gain flexibility in choosing the most reliable customers, Tuako eventually purchased his own truck. He is now able to sell to several regular customers [i.e. factories] that provide him with ice and pay in cash. Tuako’s comments about his practices as a middleman/trader in the fish export industry center on issues of negotiating credit, assessing credit-worthiness, and the mobile phone’s ongoing role in reviewing these assessments. For most fishermen who fish Tilapia and Nile Perch for export on Lake Victoria, their ability to fish depends upon accepting credit for certain fixed and variable costs. Among the fixed costs are – boats, nets, and engines. Variable costs include fuel and ice. Some fishermen are able to keep enough working capital to provide all of this for themselves, but this does not appear to be the norm based on the descriptions in interviews with fisheries officers, local elected officials of the beach management units (BMUs), middlemen, and fishermen. 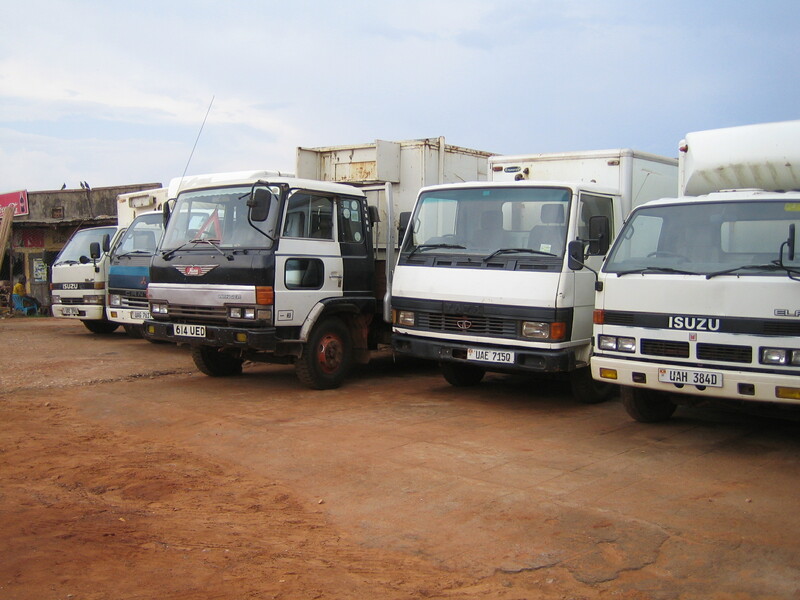 The traders who collect fish in refrigerated trucks to transport to the factories where they are packaged for export, are key figures who offer this credit. Fishing is a highly mobile business, however. Fishermen travel out onto the lake and stay for a few days in the islands while they stock their boats with their catch. Beyond sight of those to whom they are indebted, there are opportunities to sell some portion of the fish surreptitiously (with the fisherman keeping all profits rather than repaying his creditor). It is clear from Tuako’s narrative that credit-worthiness is a key issue. He is concerned about this both before he offers credit to a fisherman and after. Even after he has vetted the fisherman with an interview about work history and family connections, his creditworthiness is still under review. Tuako checks after his fishermen through other contacts and may form a new opinion. The mobile phone offers new opportunities for checking up on fishermen while they are working remotely. While the mobile phone enables this remote surveillance, Tuako relies on a long-term familiarity with the various families of the area and community-based information that most likely included rumors and gossip on trustworthiness. The quality of his social ties means he can depend on them to inform him about any of his fishermen who ‘cheat.’ Ethnicity as it defines membership in a community and both loyalty and accumulated relational knowledge (on reputations) comes into play by his description. In other words, the phone fits into (but does not construct) the existing social network of the middleman that is the product of a lifetime of belonging to and interacting with members of this community. The live network that connects Tuako to his social network via mobile phone allows Tuako to distribute his eyes and ears, monitoring his debtors. Molony, T. (2008). Running Out of Credit: The Limitations of Mobile Telephony in an East African Agricultural Marketing System. Journal of Modern African Studies, 46(4), 637-658. – Molony argues for limits to the phone’s usefulness to traders (particularly for searching out price information and seeking the highest bidder for goods) due to credit dependencies and argues that trust is fundamentally formed through face-to-face interaction that cannot be entirely replaced by mediated interaction. The account of Tuako differs from Molony by pointing to the new possibilities in establishing trust and creditworthiness (by employing the phone to track and get record of the activities of fishermen). Thus, the phone is indeed relevant to enhancing trust, in this case by reducing ambiguity for a creditor about a particular debtor. That being said, it is also the case (as in Molony) that Tuako relies extensively on trusted and loyal relationships established through a lifetime of interactions in the community. The phone fits into this social network, but does not create it.